Step into a brand new wardrobe… and get an attitude adjustment. 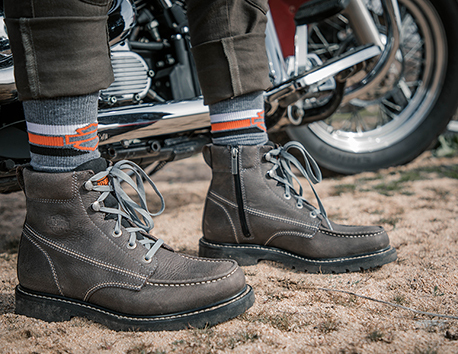 This new season of Harley Davidson Footwear styles are here to please. New boots feature rich leathers, slip resistant outsoles and style for miles down the road. So what are you waiting for? It's time to upgrade your moto style.